This dish is perfect for a summer lunch or dinner, the crunchiness of the lettuce combined with the hot rice is just perfect. You can wrap it or serve on the lettuce shells. Whatever you prefer, it is just delicious. Fry the onions until tender. Add the mushrooms, carrots, tomatoes, sweet corn, spring onions, salt and black pepper and stir until they are all tender. Transfer the mixture onto a baking tray and bake it for 20 minutes at 200c. Wash the lettuce leaves on cold water. 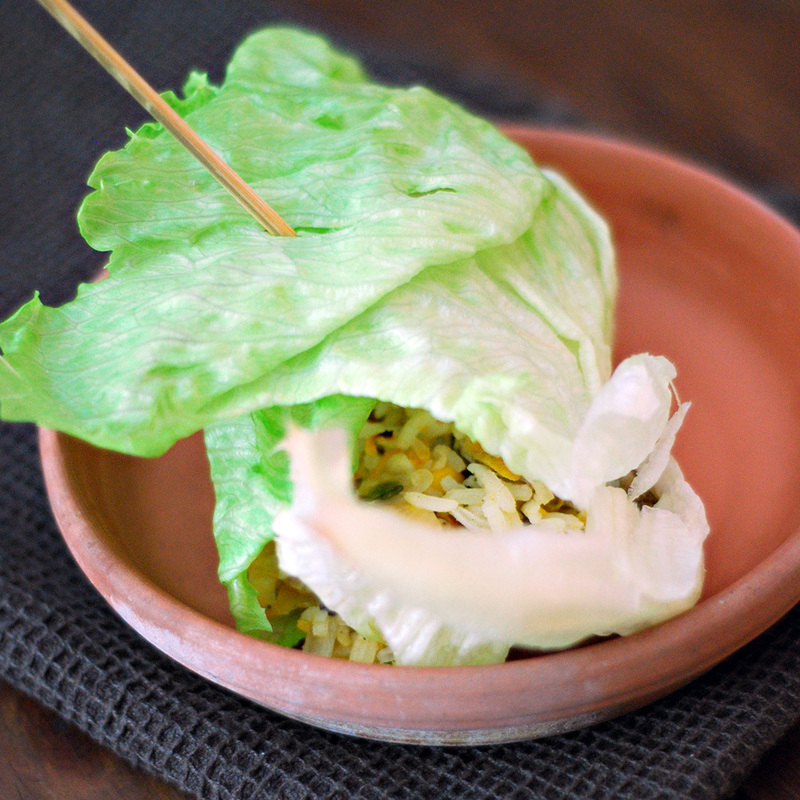 When the rice is ready, using a spoon place the rice in the middle of the lettuce leaves and wrap it. The amount of rice will depend on the size of the lettuce leaves. Drizzle with the olive oil and serve.